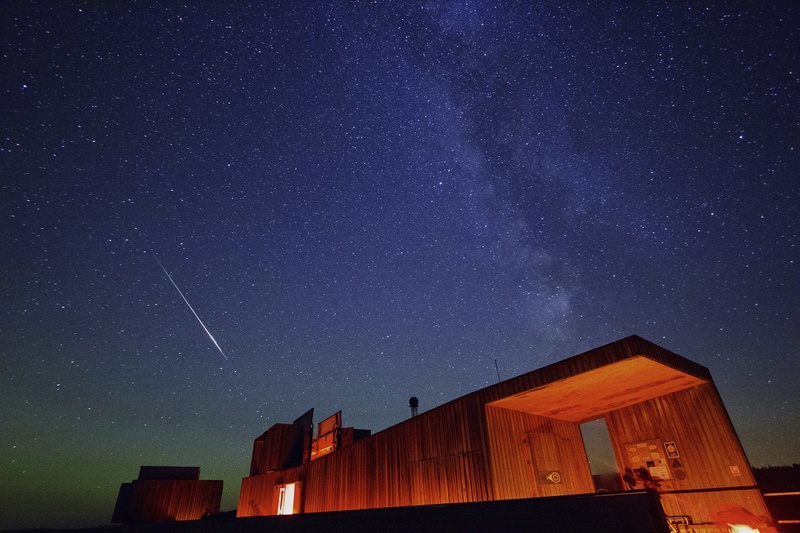 Join us at Kielder Observatory for the annual spectacle that is the Perseids meteor shower! Every year as the Earth follows its journey around the Sun it encounters the left over dust particles from Comet Swift-Tuttle -- as this debris slams into Earth's atmosphere friction causes those particles to burn brightly which we see as shooting stars, also known as meteors! The Perseids meteor shower, named after the constellation Perseus from which they appear to radiate, is the most prolific in our yearly calendar with perhaps as many as 100 every hour shooting across our skies! This year the shower peaks in the early hours of 13th August and it's nights on and around this that will be the best time to observe them, being at the heart of the Northumberland International Dark Sky Park the Kielder Observatory is a great location. Weather permitting, we will set out our comfy two-seater "moon chairs" out onto the observation deck with blankets to keep you warm and cosy and let nature do its thing! Drinks including our now-famous Hot Chocolate will be served to help you keep warm under the starry skies. At the same time the observatory telescopes will be operated by our experienced team of astronomers and if it's clear we'll be observing the celestial wonders of our Universe including galaxies and star clusters. This shooting star spectacular is one of natures grandest events and is not to be missed! These events are incredibly popular, early booking is recommended!